Mohave County Sheriff’s Office Deputies arrested Blake Steven Larue, 32 of Bullhead City, for seven counts of Aggravated Assault per Domestic Violence, two counts of 1st Degree Criminal Trespassing, 2nd Degree Burglary, Aggravated Harassment, all felonies, two counts of Criminal Damage, two counts of Disorderly Conduct, and one count of Failure to Comply with a Court Order, all misdemeanors. On January 25, 2019 at approximately 11:20 PM, deputies responded to a residence in the 5600 block of S. Antelope Dr. in reference to a disturbance. The victim alleged that Larue had broken into the home and assaulted her and a male subject. The female victim advised deputies she had a current Order of Protection against Larue for her and her daughter. The male victim advised deputies he was sleeping when he heard a loud noise and observed the back window was broken. Larue allegedly entered the bedroom where the female victim was sleeping, grabbed her by the hair, and dragged her from the house by her hair. The male victim was able to get Larue to let go by punching him in the face. The female victim showed deputies large amounts of hair and an irritated scalp where the hair had been ripped out. The female victim’s young child was also in the bedroom when the incident took place. The male victim had several lacerations to his left forearm from the broken glass. Deputies responded to Larue’s residence, but were not able to make contact with him. On Saturday (2/2), deputies responded to Larue’s address, as they had received information that he was at the residence. Larue was detained and placed into custody for the above incident. When asked, Larue denied the allegations and claimed he was the one who had been attacked. 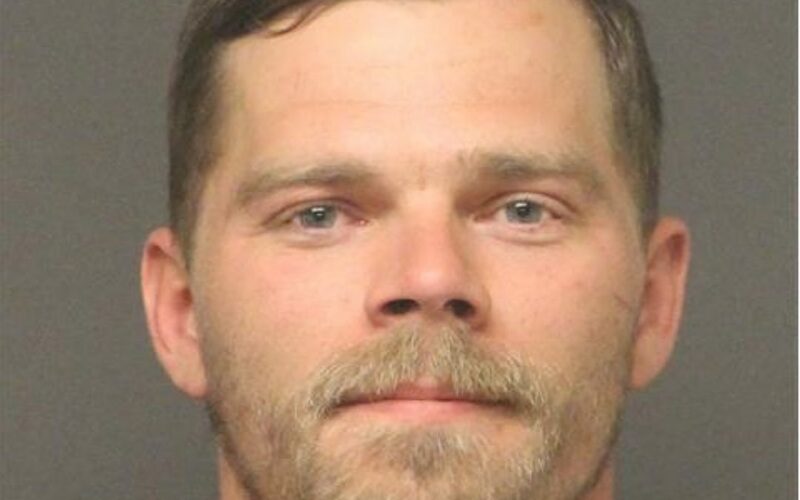 Blake Steven Larue was arrested and booked into Mohave County Adult Detention Facility without incident.